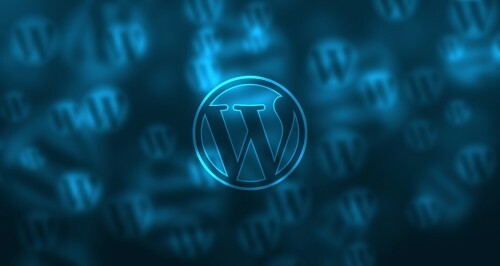 Why is WordPress the World’s Most Popular Content Management System? Not all websites use a content management system. In fact, only about half do, but of those that are built on a CMS, WordPress has the lion’s share of the market – a whopping 59.2% according to the Web Technology Surveys. Of course, size is not everything, but in the case of WordPress, the world’s largest content management system really does have a lot going for it – and here’s why. If you are thinking about how to start your own blog, your first concern will be “how much does it cost?” This is perfectly understandable. Blogging is good fun, but if you lose interest in posting your innermost thoughts online, you won’t want to feel aggrieved at having spent a boatload of cash setting up the blog, only to abandon it. The best thing about WordPress is that it is 100% free to use. Yes, you read this correctly: WordPress is completely free. Because WordPress is open source, that is created and distributed by members of the online community, anyone can use it. WordPress is also very easy to install. WordPress is downloadable from the official website, or you can do a one-click install if you decide to invest in web hosting. Either way, it takes a few minutes to have a fully functioning website up and running. WordPress is highly intuitive and easy to use, even for complete beginners. It is also very flexible, so you can create virtually any type of website you want. There are lots of free themes to choose from. Once installed, these change the look and functionality of your website in seconds. You can also use plugins to add new features. Thanks to WordPress, anyone can create an e-commerce, hobby, or business site with the minimum of hassle. A website needs to be search engine optimized or it will be effectively invisible to search engines. Luckily, WordPress is fully optimized for search engines straight out of the box. Google loves WordPress websites and even a basic website will perform well in the organic search rankings. Nevertheless, you can still improve your website’s visibility with the aid of some judiciously chosen plugins. Websites are always vulnerable to hackers, but a WordPress website is pretty secure as long as you install all updates when they are released. The same applies to plugins. It is a good idea to check plugins for updates, as hackers will exploit any vulnerabilities in the code. Building a website with WordPress is easy, but there might come a time when you want to start tweaking the code in order to customize various aspects of your site. Luckily, there is a vast library of support out there for WordPress users, so answers to your questions are usually readily available on one of the many dedicated support forums. WordPress is getting better all the time, so if you have plans to build a new website you could do a lot worse than adopt WordPress as your CMS.